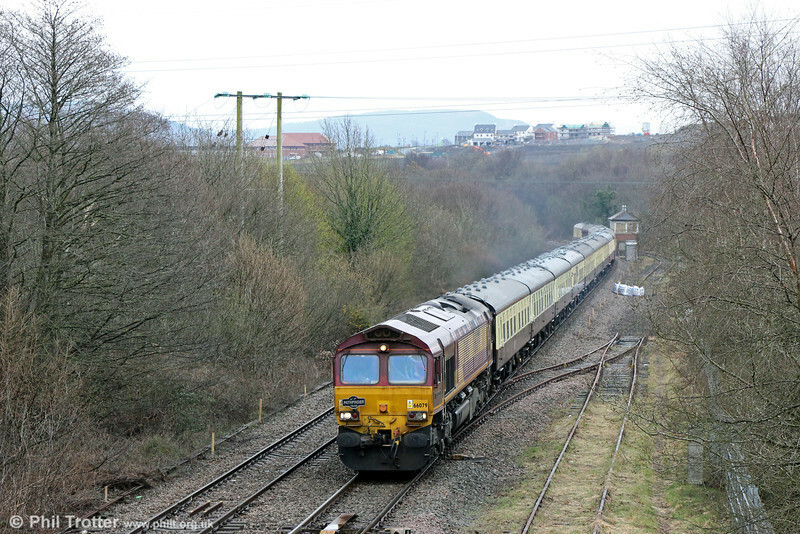 66079 'James Nightall GC' passes Llandarcy with Pathfinder's 1Z60, 0722 Tame Bridge Parkway to Llandrindod Wells, 'The Heart of Wales Wanderer' on 13th April 2013. In recent years the oil refinery on the hilltop has disappeared, to be replaced by a new housing development. Note also that the former rail link into the refinery site (right) has been severed.